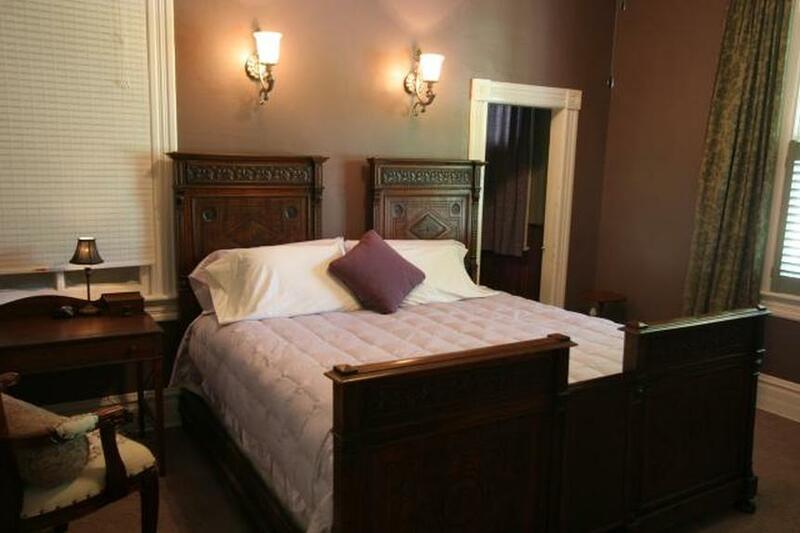 Our spacious downstairs bedroom is perfect for that special occasion such as honeymoons and anniversaries. The rich colors and fabrics are intended to make guests feel like royalty. 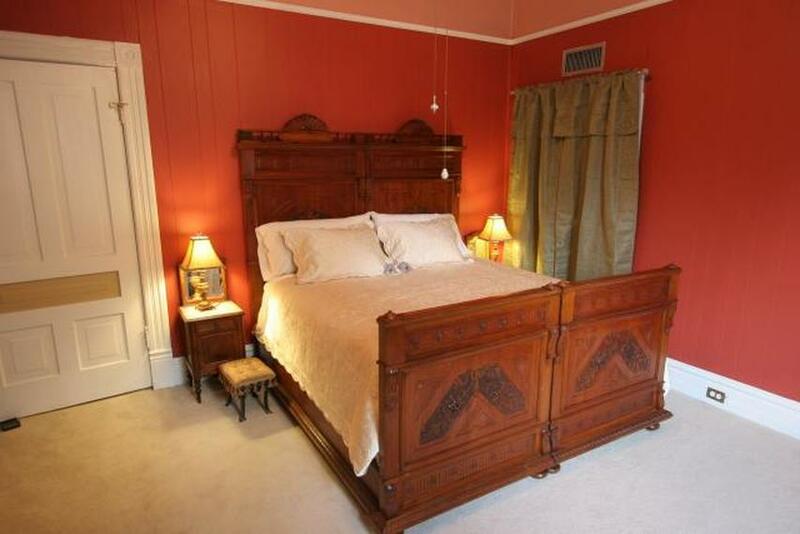 It has a king size bed and the bathroom has a claw foot tub and separate extra large shower. Located upstairs this room invites you to come into the garden, relax and enjoy the flowers. There is a king size bed and mirror vanity with side floor length mirrors. The bathroom has a shower and a large closet to store personal items. 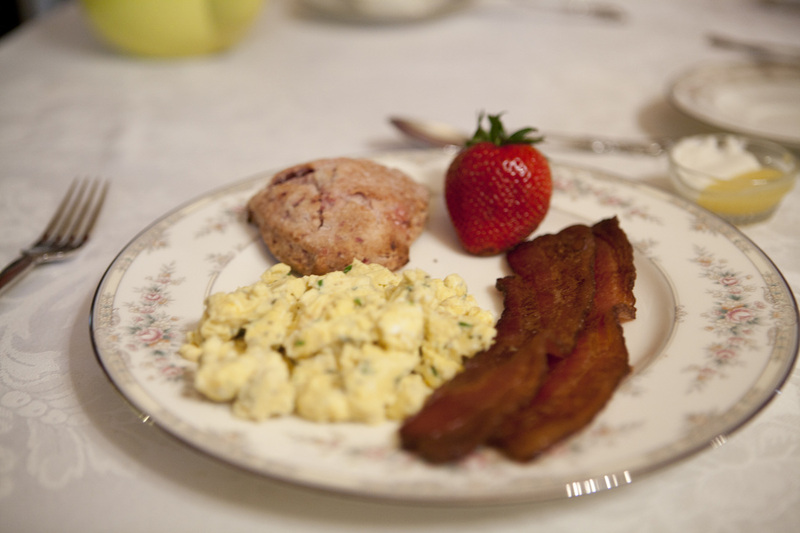 A full breakfast is served in our dining room the following morning.Beth grew up on the southern traditional breakfasts of grits and eggs with bacon or sausage, and plan to provide guests with what she calls a traditional southern breakfast with a California twist. By adding herbs and other ingredients, Beth and David update several classics to reflect their experience of living in Sonoma County California which is known for its fresh food and wine.